Buying an engagement ring is a once in a lifetime purchase for most people. And, unless you buy fine jewelry frequently, it can seem like an overwhelming experience. There are a lot of elements that go into purchasing an engagement ring, from understanding the qualities of a center stone diamond, to choosing the materials that will make up the setting, to finding style details that speak to you. To help clear up engagement ring confusions, we’ve put together some tips to make the shopping process easier to undertake. Check them out below! When considering buying an engagement ring, you’ll first want to arm yourself with some knowledge so you can make a smart purchase. When you understand all the elements of a ring, you can choose what’s right for your style and your budget. There are three major areas to learn about: diamond quality, the precious metal for the band, and different ring styles. We’ll tell you what you need to know about each of these in the related tips below. 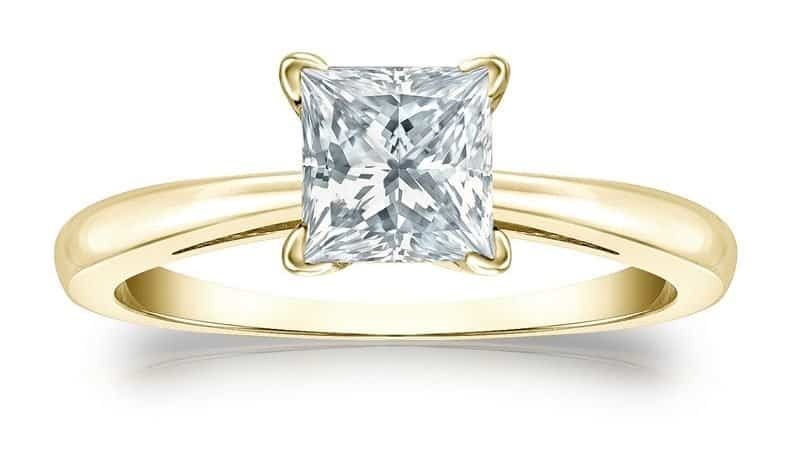 For your engagement ring’s center stone diamond, you will want to know about the 4Cs. 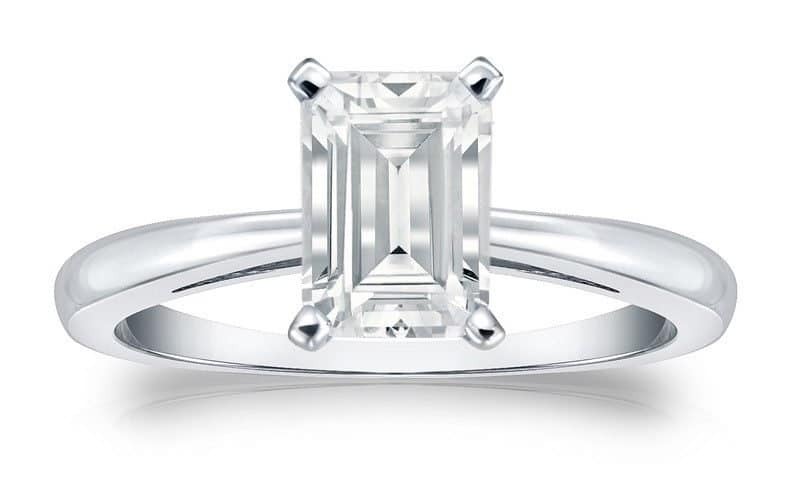 The 4Cs are carat, cut, color, and clarity, and they are a way of measuring the quality of the stone. When you buy any diamond, it will have been graded on these qualities to help you know what you are buying. Though many think of carat as describing a stone’s size, it is actually a measurement of a stone’s weight. You consider the carat of a diamond when deciding the general size you are looking for. The next measurement is a stone’s cut. This is a measurement of how well the stone was cut (into whatever shape it may be). The cut measurement is extremely important because it is what causes the diamond to refract and reflect light. A good cut helps the diamond shine to the best of its ability and a poor one will dull it. Color is a measurement of how white a diamond is. This is measured on a letter scale of J to D, with J being quite yellow and D being the most white. The less color a diamond has, the more rare it is. Diamonds with less color also reflect light better, adding to the diamond’s beauty and sparkle. is a measurement of how blemished a diamond may be. Diamonds may have inclusions (internal marks) or blemishes (external marks) that lessen the beauty of a diamond. Diamond clarity is graded on a scale of included to flawless. Once you understand the 4Cs, you can choose which qualities of your center stone diamond are most important to you, and also ensure that you know exactly the value of what you’re buying. Ring settings come in many different metals. It’s important to understand the benefits of each before you buy. 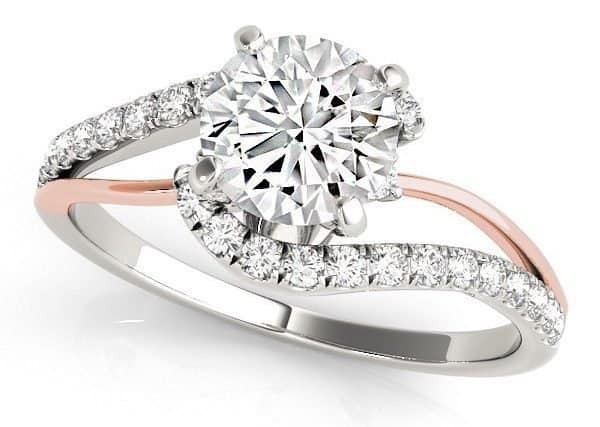 The most common metals for engagement rings are white gold, yellow gold, rose gold, and platinum. Platinum has the advantage of being very strong and malleable, yet less malleable than gold should you need to adjust your setting. Golds are advantageous because of their beauty and timeless value, but they do scratch more easily as they are a softer metal. Golds also have a value next to their type of gold (typically 14k or 18k) that measures how much gold is in the band. The higher the number, the higher the amount of gold in the band (gold must be mixed with other metals to be hard enough for regular wear), but higher karat amounts also mean the metal is softer and more easily scratched. There are a lot of different styles of engagement ring settings to choose from. Some popular ones include solitaire rings, classic style rings, halo set rings, modern rings, and vintage or vintage inspired rings. There are also different shapes of diamonds to choose from that will affect the style of your ring. Choosing a style is a subjective decision. 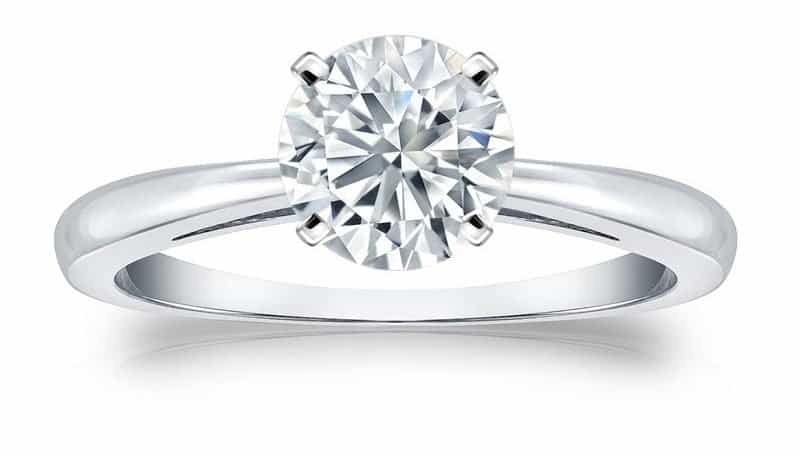 You’ll want to find a style that the engagement ring recipient will love. 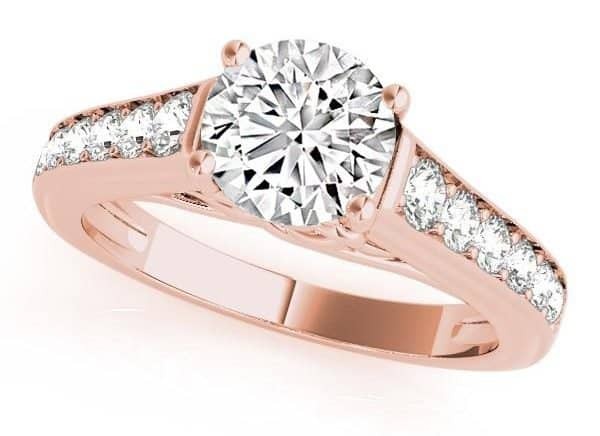 You should think carefully about what styles they like when choosing your ring. And, if you aren’t sure what they will like, it’s a good idea to discuss it with them. 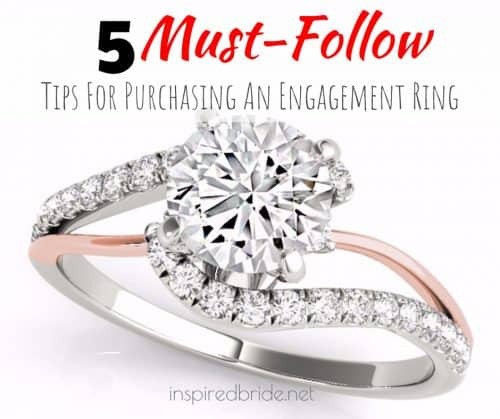 An engagement ring is a big purchase that you will want to get right. Quite possibly the most important engagement ring purchasing tip is to buy from a reputable dealer. You will want to make sure that whoever you are buying from has a good reputation and is certified. When buying a diamond, it’s extremely important to buy only from sellers who have certified graded diamonds (by industry standard societies like GIA or AGS). Buying from a respectable dealer ensures that you know what you are buying.